An American classic! 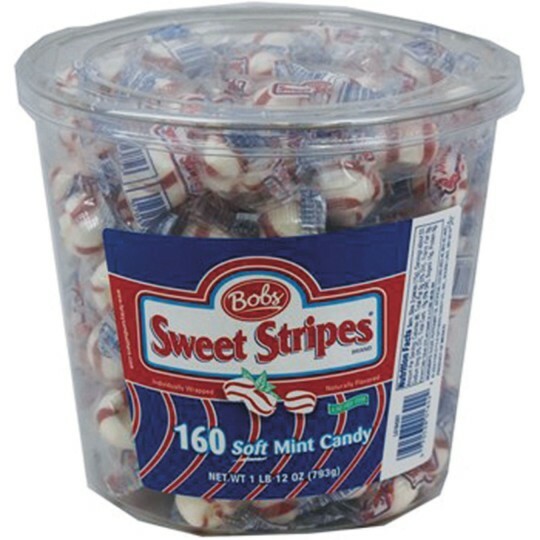 These white and red striped peppermint-flavored mints are the perfect pick-me-up any time of day! Certified Kosher. 160 individually wrapped soft mints in a tub.